A sweeping debut spanning from China to Hawaii that follows four generations of a wealthy shipping family whose rise and decline is riddled with secrets and tragic love--from a young, powerful new voice in fiction. When Frank Leong is murdered, his family is thrown into a perilous downward spiral. Left to rebuild in their patriarch's shadow, the surviving members of the Leong family try their hand at a new, ordinary life, vowing to bury their gilded past. Still, the island continues to whisper--fragmented pieces of truth and chatter, until a letter arrives two decades later, carrying a confession that shatters the family even further. Frank Leong, a prominent shipping industrialist and head of the celebrated Leong family, brings his loved ones from China to Hawaii at the turn of the twentieth century, when the Japanese invade. But something ancient follows the Leongs to the islands, haunting them--the parable of the red string of fate. According to Chinese legend, the red string binds one to her intended beloved, but also punishes for mistakes in love, twisting any misstep into a destructive knot that passes down through generations. When its patriarch is murdered on Oahu, the Leong family is thrown into a downward spiral. Left to rebuild in his shadow, the surviving members attempt a new, ordinary life, vowing to bury their gilded past--until a letter arrives two decades later, carrying a confession that shatters the family even further. Now the Leongs' survival rests with young Theresa, Frank's only grandchild. Eighteen and pregnant, Theresa holds the answers to her family's mysteries and must decide what stories to tell, with whom to side, and which knots will endure. Told through the eyes of the Leongs' secret-keeping daughters and wives, Diamond Head is a breathtakingly powerful multigenerational tale. 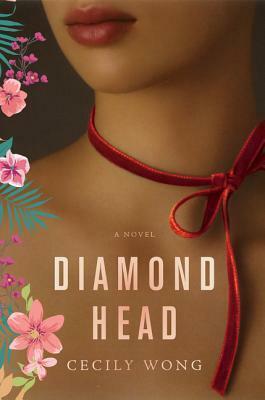 Cecily Wong s "Diamond Head" is a shimmering tapestry of secrets and betrayals, beautifully told through the eyes of the women of the wealthy Leong family. An eye-opening, poignant read set against the backdrop of Hawaii s rich history. --Yangsze Choo, author of "The Ghost Bride""